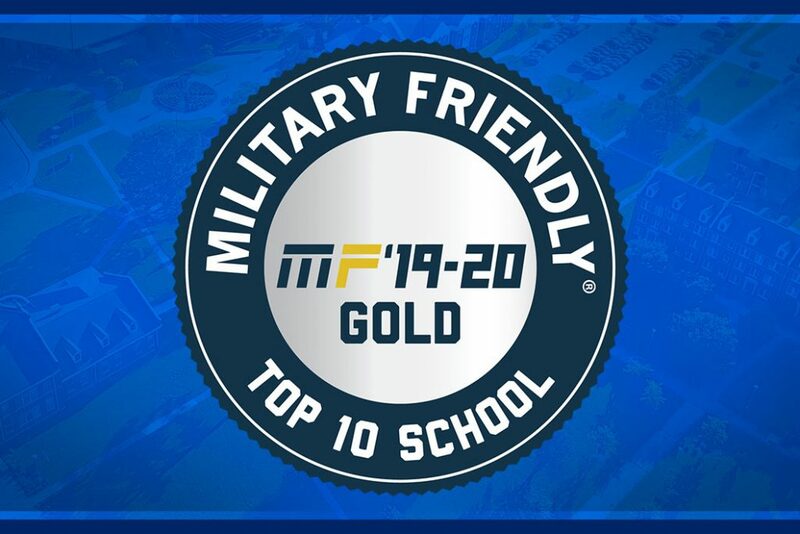 Elizabeth City State University has been ranked in the top five Military Friendly Schools for small public universities. This is the fourth time ECSU has been named to this national list of schools by Victor Media. 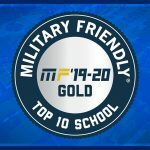 Victory Media, originator of the family of Military Friendly employment, entrepreneurship and education resources for veterans and their families, published its special awards for 2019 Military Friendly Schools and Employers at https://militaryfriendly.com. For more than a decade, Military Friendly ratings have set the standard for companies and colleges demonstrating positive employment and education outcomes for veterans and their families. ECSU has been working under the direction of Military and Veterans Affairs director Tim Freeman to provide services to the men and women, and their families, who either have served or currently serve in the nation’s armed forces. The university’s Military and Veterans Affairs Office was recently moved to its permanent home at Griffin Hall, an event that was celebrated in December by Chancellor Karrie Dixon, Freeman, members of the Board of Trustees, the campus community and the public. The office is a space for military and veteran students, and their dependents, to not only find assistance on campus, but also veterans affairs guidance. A representative from the Department of Veterans Affairs in Norfolk, Virginia, frequently comes to campus to work with students, and with members of the military based in the area. The new center is outfitted with a lounge, a television, and with four new computers, giving students a place to relax, study, and seek military and university related services and guidance. ECSU has also worked to expand its degree program offerings, creating online programs that allow service members and their families the opportunity to earn a degree no matter where they are stationed. The university currently offers an Interdisciplinary Degree, and beginning in fall 2019 will offer online degrees in emergency management and homeland security. Most recently, ECSU has been named to the Military Times list of Best Colleges for 2019, the Best of the Best by U.S. Veterans Magazine, number 12 on the U.S. News and World Report Best HBCU in the Nation list, and the number one most affordable public HBCU in the nation by Student Loan Hero. ECSU, a constituent institution of the University of North Carolina, has 28 undergraduate degree offerings and four graduate degree programs, flexible study options, and research opportunities.